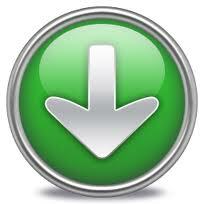 Need credit as fast as 1 day cash release? 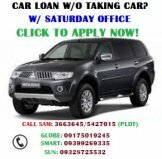 At Car Loan Philippines, we have sulit 1 day car loan offer - ORCR only without taking your car. But if you want cash in 1-3 hours, go for our impounding car pawn option. Ask us below. Get as low as 1.39% 1.25% interest rate for regular car loan for 10 year old model or newer. Free auto loan application assistance and quotation to multiple lenders at once. Easy requirements with more than 150 partner branches nationwide. To know how to achieve fastest turnover of your cash loan using your vehicle as collateral, let us subject you to a 1 minute interview. You may want to read our help tips to pawn your car below first. As your qualified, certified and duly accredited loan brokers, we currently assist clients to multiple top car collateral loan lending companies all over the Philippines. We have private financiers, private lenders and banks. Using our own pre qualification technique that aim to help you, we make our assistance turn your loan application into the fastest cash loan process in the country. We also look forward to deliver achieving the lowest interest rate possible thru indirect competition of lending company providers. As an intelligent borrower, you should understand that there should always be 2 sets of requirements for a car loan application. With any one missing as required by your agent, you are in the wrong hands. Stop where you are and think twice. Documents are the easiest to produce but the other half is always what classifies you or you may end up wasting your precious time. The first is characterized by documentary needs while the second is all about pre-qualifying your case as a borrower. Most auto loan applicants can produce documents, otherwise they wouldn't have a car at all. To be pre qualified by your agent will always give you a win-win situation. It's what I do to know who can possibly get 1 day release car loan and who doesn't and also to know who qualifies for the lowest interest rate or who doesn't qualify to apply at all. Pre qualify yourself for car loan offer below or call me. Let us define qualified and professional loan agent first. As a borrower, you must realize the difference between your regular loan agent from a qualified and accredited consultant / broker. Both offer free service but skills application is the difference. There is a thin line between agents and brokers and that missing link is attitude, skill and professionalism. Below are qualities and factors you should look for in an agent to know if you are in the right hands. Communication - Agents know what brokers or consultants know but the proper application of this knowhow is usually what is missing. Communication part is usually compromised when this happens leading to committing more mistakes which could sadly be irreversible. I've learned to correct this through experience. The same reason why I invested in having the most comprehensive contact numbers as a consultant - I have Smart, Sun, Globe and PLDT mobile landline so communication is easy. Believe me, it helps 50% - 70% more to make sure your application is approved fastest processing time possible. My fastest approval and loan release experience for car loan? - 8 hours. Through car impounding - 1-3 hours fastest loan approval. Skills - Everybody can be a loan agent and everybody can absolutely assist you in your application but do you always get your goals attained in applying for a loan? I bet you know the answer and that is because very few understand, implement, use their skills and combine it with the knowhow about loans so clients are satisfied to an acceptable level, no more, no less. A good example for this is that all agents (especially the veterans in the field) know how loan works, it's procedures and all requirements. But there are cases where the borrower don't usually know the alternatives in case a document is rendered invalid or another process needs to be done to qualify like in cases where LTO procedures (ex. MVIR or motor vehicle inspection receipt is needed for engine and chassis number stencil) had to be integrated to qualify for a car loan in the Philippines. This alone can take a day to 3 weeks at most of longer loan processing if mishandled. If the agent knows that there are other ways and alternatives, we skip wasting precious time and effort. 100% FREE Service Guarantee - Some lending companies charge agent's fee and some don't. There is no way for a borrower to know this unless they ask. In my case, I don't waste time waiting for my clients to ask. I tell them outright. It's a waste of time making people believe what is not unless the agent loves dealing with unsatisfied customers. 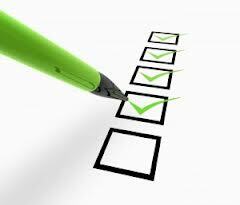 Pre-Qualification - Tried applying before and didn't undergo pre-qualification by your agent? With me it's different. I make sure to pre-qualify each and every client I talk to. "Time is Gold". This technique alone has saved me and my car loan clients a ton of hours and even days of applying and waiting only to find out they can't qualify. I consider this the number 1 most important process of helping car loan applicants whether buying second hand used car, new vehicle or using one as collateral (car loan without taking your car). Affiliation with Multiple Top Lending Companies - The game of applying and undergoing car loan process is all about choices. A loan broker or agent who can give you more providers is always best (bank / private financing / corporate lending company). Flexibility - One thing a borrower looks forward to is service flexibility. It applies to all aspects of an effective loan - collateral or non collateral. This aspect can range from loan interest rates, appraisal value, payment terms, year models accepted, online and offline application, form availability, catering branches and extra services extended for vehicle second and third owners. Processing Time - Fast is in! 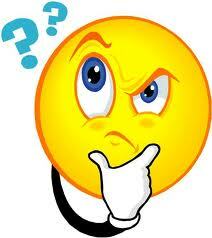 Frequently asked question is how long does the process take for car loan application to get approved? Here is where skills apply. If you hire or avail the service of a good agent, he should know outright upon presenting your case and available requirements if there is a chance of same day loan release. Otherwise, communication and borrower cooperation will play the biggest factor to achieve fast car loan approval. With most lending company providers, it usually takes 2-3 days processing but with the right communication, skills and knowledge, an 8- hour same day loan release is easy to achieve. Charges and Fees - A question I often get from loan applicants is how much interest rate my providers have. Second is what are the fees to be collected and third is, are there any hidden charges. Again and again, I always explain - Truth in Lending Act of the Philippines (RA 3765) clearly states that "Section 2. Declaration of Policy. It is hereby declared to be the policy of the State to protect its citizens from a lack of awareness of the true cost of credit to the user by assuring a full disclosure of such cost with a view of preventing the uninformed use of credit to the detriment of the national economy." HIDDEN CHARGES IS AGAINST THE LAW! It is a must to call me using any of my numbers below or pre-qualify yourself first to know if additional requirements are needed for borrowers with special cases like 2nd owners, no income, no primary IDs, owners of encumbered vehicle, vehicle is still under financing or if another person owns vehicle other than loan applicant. I also offer car impounding loan for ultra fast 1-hour loan release process. Here at FastLoanPh.Com, we offer you 4 choices for interest rates - 1.25%, 1.5%, 2%, and 2.5%. How to avail the lowest offer will depend on your qualification. But trust us, we will give you a deserving package on our list first before anything else because we want to help. Loan term ORCR car loan only includes 4 basic package options - 6 months, 12 months, 18 months and 24 months maximum payment term. 36 months is a case to case basis and is subject for company approval option. For car impounding loan, 1 month to 10 months payment option is available and different charges apply. Ask us now! If you want to find out how to qualify for our lowest interest offer or our longest payment term, please pre-qualify or call us below. Many forums, even Sulit, Ayosdito, Carmudi, Buy and Sell, Car Finder or banks like BPI, PSBank, BDO or any leading provider for car loan can give you absolute figure using loan calculator with respect to monthly amortization. They do give you exact figures for car pawn but they usually don't give exact situations with which to base your computation. However, here is my simple and easy to understand computation based on numerical values and figures in the lending industry. Fast Loan Ph is your leading provider for free collateral car loan assistance in the Philippines - TRY US!